Home / Updates / Bengali Wedding Rituals: Traditions coupled with fun. You don’t meet Bengalis. They just happen to us. The fact that Bengalis own swag and awesomeness is a no-brainer while on the contrary, Bengalis follow the most sacred of rites and incorporate many timeless rituals and customs in their weddings. The best example lies here. Almost every Bengali bride and groom know each other before marriage, and most have been friends, or in a relationship for quite a while, but their tradition-struck behavior shows up at the time of Shubho Drishti: The auspicious sight of love when the bride on the pidi/piri slowly puts down the betel leaves after seven rounds and the intimate union of two eyes and two souls happen. Strange it is. But this tradition sets the Bengali wedding apart from every other type of Indian wedding. The very essence of being a Bengali lies at the heart of these weddings. Let’s unravel the visual treat, step by step. 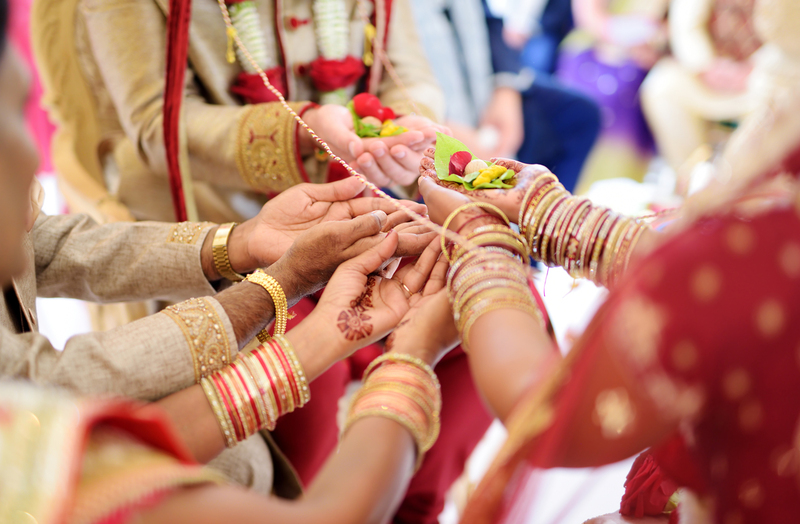 Paka Dekha in Ghotis or Pati Potro in Bangals (Bengalis of the Bangladeshi origin) is the formal engagement where ‘the lagno’ (the final date and time of day )of the marriage is decided. Modern Bengalis generally do not entertain any dowry but but if people are to exchange gifts, they put their offers in words on this meet. The alliance between the bride and groom families is formalized so final wedding preparations can proceed in due course with confidence that it is indeed intentional and assured to take place. Paka Dekha is followed by sumptuous roshogollas and mishti doi, generally catered by the groom’s side. Aiburobhaat happens just before the day of marriage when the bride and groom savor their meals as a spinster and bachelor for the last time in their respective homes. The bride is showered with gifts on this day from her relatives and the groom. This ritual especially does not involve the groom but if the couple is planning to move to a new city or a country, Aiburobhaat is all about spending that one last day with your own family before the responsibilities of another person and his or her family gets tied to your life. If you’ve ever been to a Bengali house, you’ll notice that the first thing that differentiates Bengali women from others is the conch shell bangles(Shankha) and red coral bangles(Pola). These bangles are dipped in turmeric water and seven married women make the bride wear them till the rest of her married life. This is done on the wedding day but is still a pre-wedding ritual. The mothers of the bride and groom, along with some more married women, go to a nearby pond or holy river to fetch water for the bride and groom to bathe in after the Haldi ritual. This makes for precious wedding moments to be added to your wedding day. The bride and groom are fed sweet curd, banana, sweets, and rice flakes or ‘cheere’ before the wedding. Traditionally this is the only meal the bride and groom get to have until their wedding is over. But again, there are enough cousins to sneak in a treat for the bride or groom while they get ready. Many ominous brides and grooms avoid it anyway because it is supposed to be bad luck. The father of the bride and groom, or any close male member in the absence of the father, performs a Pooja at their own home. Prayers are offered to the ancestors of the family so that they would bless the wedding. Though the Bengali Ashirwad ceremony is what happens right during the wedding, there are numerous ceremonies where the blessings of the elders and ancestors are prayed for. Fresh turmeric is ground and mixed with mustard oil. It is the haldi ceremony, where the groom’s family sends turmeric and gifts like makeup kit, fragrant hair oil, and six saris for the bride. It is applied to the groom and the close female family members starting with his mother. The formal wedding gifts for the bride, or ‘tottwo’, along with a whole Rui maach, yes there is the Bengali trademark, is sent in creatively wrapped trays to the bride’s house along with the leftover turmeric paste in a silver bowl. Hindu weddings have a specific time frame which is considered most auspicious and the wedding ceremony takes place within that period. It is called the lagna. 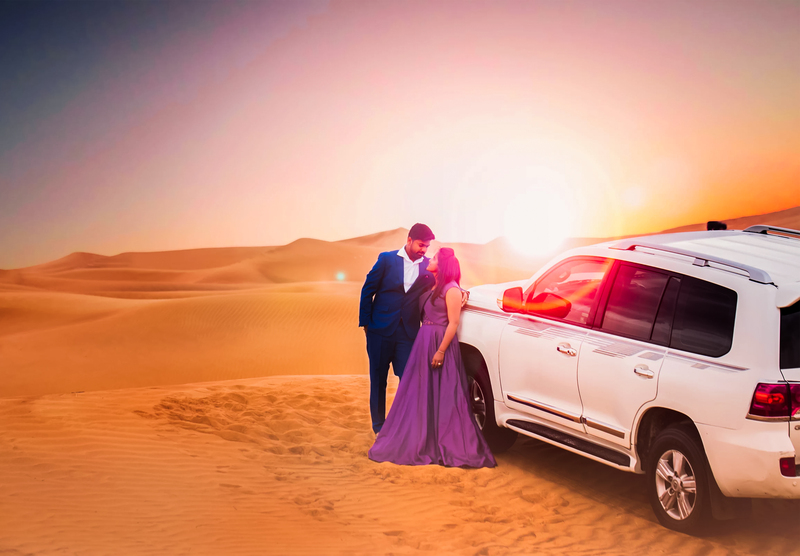 The wedding procession led by the groom leaves for the wedding venue usually in a luxury caravan which is dispatched by the family of the bride. This group is called the ‘bor jatri’. A car sent separately for the groom leads the caravan. At the entrance of the venue, the mother of the bride and other elders of the family wait to receive the group. The mother, at some weddings, first washes the wheels of the car in which the groom arrives. Then she anoints the groom with tilak from the baran dala and does an aarti before welcoming him. The other guests are also received with a lot of warmth. They are then seated and served refreshments. In this, the groom is given new clothes by the bride’s family after he is seated at the wedding alter, also known as the Chadnatolla which is the sanctum sanctorum of the mandap. He waits there and performs all the rituals as he waits for the bride to enter the mandap. Meanwhile, an elderly member, usually the maternal uncle of the bride, who would later do the ‘kanya sampradan’, gifts the groom new clothes which he has to wear during the wedding rituals. These clothes are known as ‘potto bostro’. This is a unique yet graceful sight to be witnessed only at a Bengali wedding where the bride sits on a wooden stool called a pidi/piri, and is carried to the mandap by her brothers and close male relatives. The groom is already seated along with the priests waiting for her. The bride is not supposed to see her groom when she enters the mandap, so she has to keep her eyes covered with sacred beetle leaves. Keeping her lifted up on the stool, her brothers’ then walk around the groom seven times. After seven rounds are done, the bride takes the betel leaves off her eyes. The union of two eyes and souls happen amidst the blowing of conch shells and ululation. This is known as subho drishti. After Shubho Drishti, the bride and groom exchange flower garlands while the bride is still seated on the pidi and hoisted by her brothers. They exchange the garlands three times which signifies the couple’s acceptance of each other. To add to the fun element, the brothers often try to hoist the bride as high as possible to make it difficult for the groom to reach the bride’s neck. When the going gets tough, enter the friends of the groom in the frame! They then try to lift the groom higher than the bride and competition between the two sides continue for a while and the assembled guests end up in peals of laughter. Here, the bride and groom both sit at the altar as an elder member of the bride’s family (who carried out the Potto Bastra earlier) gives the bride’s hand into the groom’s hand. Then their hands are tied with a sacred thread as the priest recites Vedic chants and their hands will stay in bounds till the end of the rituals. This ceremony is called Sampradan or more specifically Kanya Sampradan. The bride and groom sit in front of the holy fire while the priest chants the mantras invoking the presence of Agnidev to solemnize the marriage. The ‘uttariya’ worn by the groom and the end of the saree worn by the bride is tied in a knot called ‘gathbandhan’ and after some time, the couple is asked to circle around the pyre seven times where they have to touch seven suparis kept on seven palm leaves with their toes. In this ritual, the brother of the bride gives puffed rice or Khoi in her hands and the couple then offers it to the holy fire. The bride stands in front of the fire with chaff in hand. The groom stands just behind her, their bodies touching and he then holds the hands of the bride. The Khoi is put on the chaff and by using the concept of winnowing, the Khoi is thrown into the fire. This is known as Kusumdinge. In Bangals, the bride has to grind the Khoi with a pestle, every time her brother hands over some quantity of Khoi before offering it to the fire. After all the rituals are done, the groom applies sindoor on the bride’s forehead. This marks the completion of their marriage rituals. After this, the bride covers her head as a veil with a Ghomta, a new saree gifted to her by her in-laws.